Beginning this fall, classes will be offered in the heart of RTP, just off of I-40 at Page Road. Students can choose to take classes at The Solution Center, at Elon or a combination of both locations. Study opportunities take students to Asia, South America and Europe to analyze how U.S. companies compete in global markets. 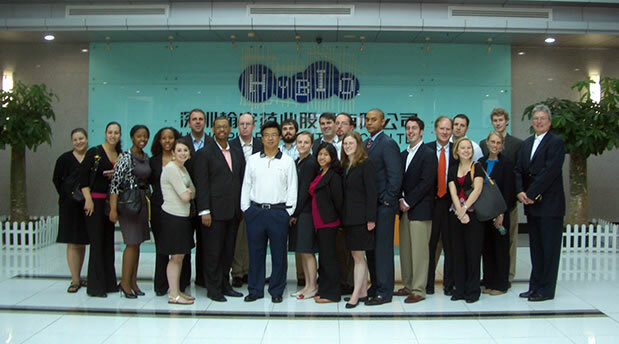 Mike McCarter '10 discusses lessons learned while studying abroad in Asia. When you enroll in the Elon MBA you join a community of students, faculty and staff who move with you throughout the program as colleagues and friends. MBA graduates are leaders in their fields and in their communities. Alumni have access to the same services as enrolled students, with Career Services serving as a powerful resource in salary negotiations and career changes. 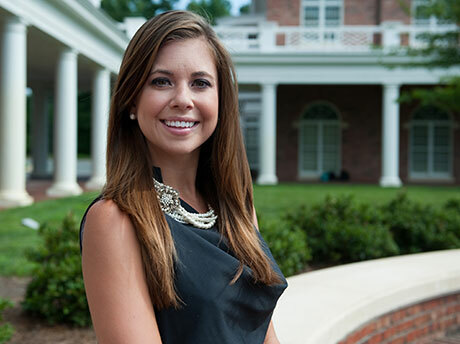 Designed for working professionals from Winston-Salem, Greensboro, Raleigh, and beyond, the Elon MBA is one of the outstanding programs of the Martha and Spencer Love School of Business. Classes are offered in two convenient locations—Elon University's main campus and The Solution Center at Research Triangle Park. The school is accredited by AACSB International—The Association to Advance Collegiate Schools of Business. Less than five percent of the world’s business schools have earned AACSB accreditation. An annual awards program held April 23 recognized the academic success and service of those involved with the Martha and Spencer Love School of Business. Singh publishes a paper in Organization Management Journal, the official journal of the Eastern Academy of Management. Research co-authored by Barjinder Singh examines the relationship between spirituality and religion on management of work-family conflict. Students examined the interaction of business and government in fast-growing Asian economies as part of the International Business graduate course. Matthew Valle, Martha and Spencer Love Professor of Business and professor of management, and Dave Levy, professor of management at the United States Air Force Academy, discuss the application of Dynamic Capabilities Theory to leadership development programs in the U.S. Air Force. The graduating class applied the knowledge and skills acquired throughout their studies to a business case analysis.